Tricia of the Minden Roundabout Blog has given up on her crusade to get Granite Construction to quiet down and let her get some sleep. This was obvious tonight when we drove through at 9:30pm and work was in full effect. It’s good to see progress being made, at least. Maybe they will be done by August. Here are some daytime shots of the work. 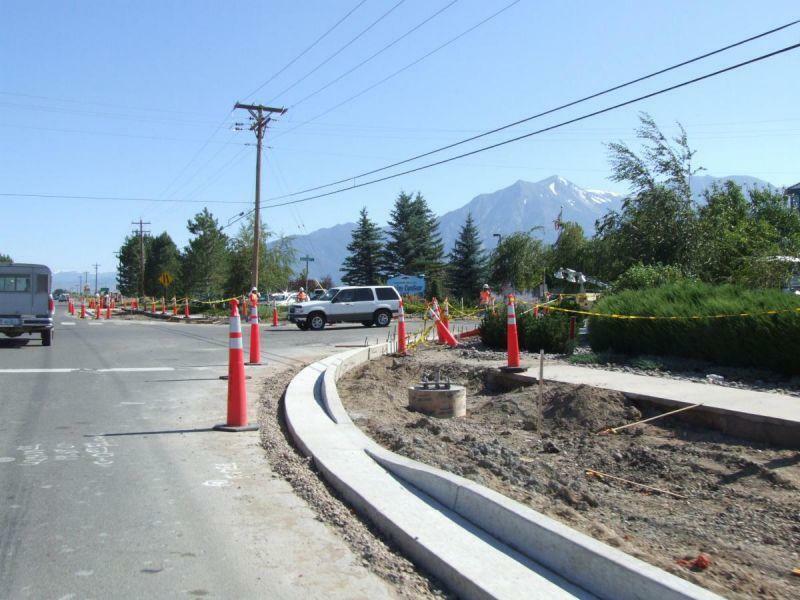 The road leading up to the roundabout is being narrowed down to one lane, and decorative planters being put in. Here is the new curb and streetlight. 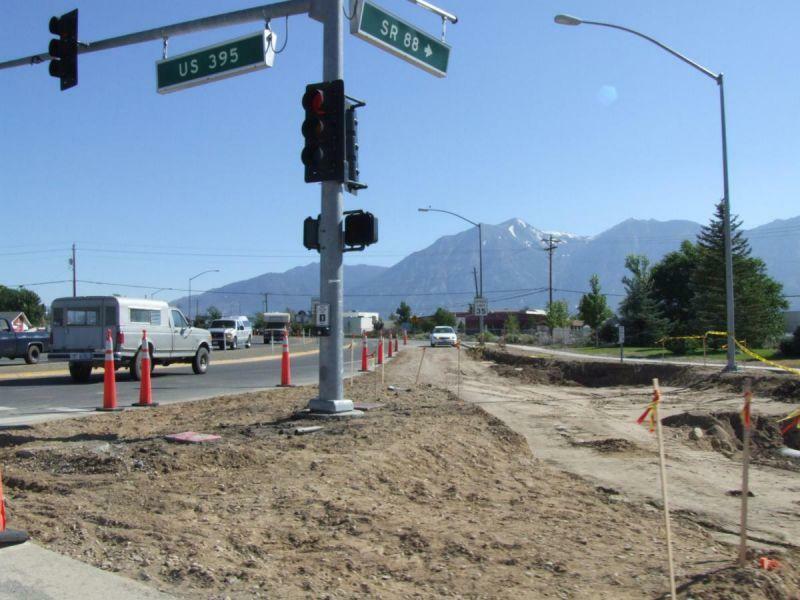 They are also doing work at the intersection of Hwy 395 and Hwy 88, one block away. Here the turn lane has been removed down to the dirt. Hopefully they’re going to put it back, better than ever.